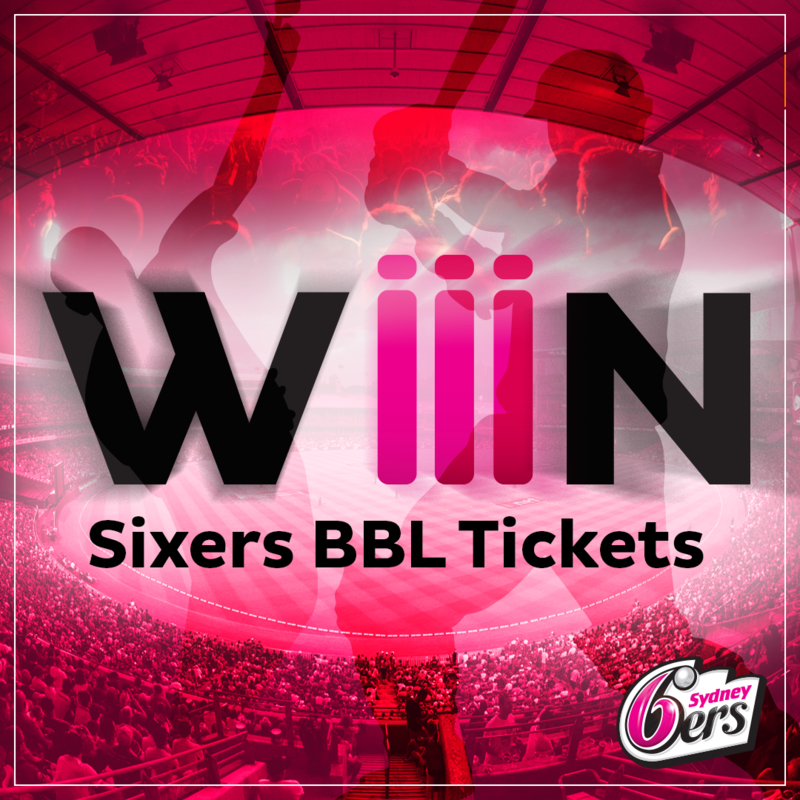 WIN one of 5 pairs of tickets to the Sixers vs Thunder game on the 2nd of Feb at the SCG! The Sixers may have changed since 2011 but my focus on them hasn’t because. . .
NSW Residents Only. Entries close 23rd Jan.
1. iiNet Limited (ABN 48 068 628 937) of 63-65 Waterloo Road Macquarie Park, Sydney NSW 2113 (“we” or “us”) are responsible for conducting the “Focus on the Sixers competition” (“the Competition”). 4. The Competition commences at 00:01 AM AEST on Friday 18th January 2019 and closes at 11:59 PM AEST on Wednesday 23rd January 2019 (“Competition Period”). 6. Entry is open to Australian residents in NSW aged 18 years or over at the date of entry. Employees (and their immediate family) of iiNet Limited, Sydney Sixers and the TPG Telecom Group are ineligible to enter. b) Posting your ending to the sentence on iiNet’s Facebook, Instagram or Twitter account competition posts. 14. The Competition is a game of skill. Chance pays no part in determining the winner[s]. Each Entry will be judged according to its originality and creativity. 16. The Winner will be determined at Level 1, 502 Hay Street Subiaco WA 6008 on the 24th January 2019 at 2pm AEST. 17. The Winners will be notified on 25th January 2019. Each Winner must claim their prize by 5pm AEST 1 February 2019 or they will forfeit the prize and will no longer be the Winner. The Entry judged by us to be the next best Entry will become the winner (“Replacement Winner”). If the Replacement Winner does not claim their prize within 2 business days of our notification, that Replacement Winner will forfeit the Prize. 18. If the Prize is forfeited by a winner (for whatever reason), we may conduct further judging until a Replacement Winner is successfully contacted by us and awarded the Prize. 20. There are a total of five (5) Prizes. The total prize pool is valued at approximately $200 incl GST. 21. The Prize does not include any other costs or expenses such as accommodation or transport to and from the matches. The Winners must make their own arrangements to attend the matches.